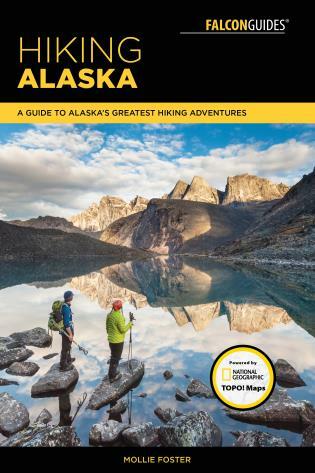 Fully updated and revised, this guide is the perfect introduction to hiking the great state of Alaska, with millions of acres of wilderness waiting to be explored. It features one hundred hikes in Alaska's national parks, wildlife refuges, national forests, wilderness areas, and state parks. Also included are hikes for all ages and abilities as well as maps for each hike and full-color color photos. Alaska-based editor, photographer, and writer Mollie Foster is passionate about storytelling, specializing in outdoor lifestyle and adventure. She loves to spend her time exploring by human power—hiking, biking, skiing, and packrafting. Mollie has been a contributing editor to Alaska Magazine, directed and guided week-long educational programs and teaches field-based photography courses in Denali. Mollie moved to Alaska, fell in love with the Alaskan lifestyle, and now she can’t imagine living anywhere else. She splits her time between Anchorage and Denali.